Recently my favorite MySQL Swiss Army Knife has to be Toad for MySQL. Not only does it have a plethora of tools and interesting features, it is free. A few days back I’d to compare database schemas of different versions of a application to see if some table fields had changed between versions. Comparing a database schema containing above 200 tables can be a time consuming job if you do not have the right tools. Toad makes the work easier with its schema and data compare feature, which lets you easily compare schema and also the data from two different databases. You can even synchronize the two schemas or the data therein so both the databases contain the same schema and data. Besides these it has a nice query builder, somewhat like the one in Microsoft Access. Toad also can manage your Amazon EC2 instances with its built-in tool, which I’ve yet to try. 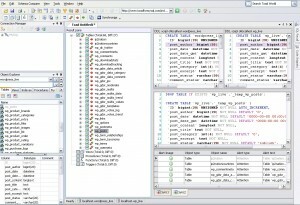 Other than these it has the other regular features – a database explorer, table builder, database diagram creator etc. Toad is now my favorite tool for managing MySQL data. 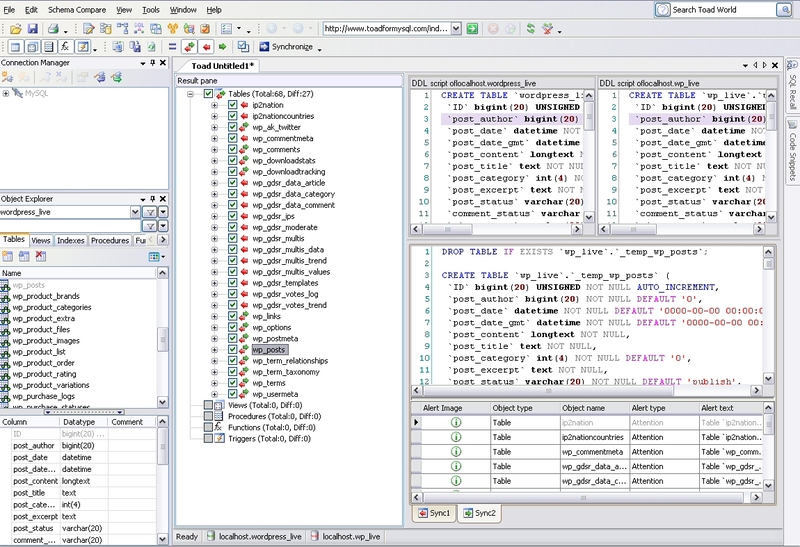 I use navicat for MySQL it’s pretty nice, does TOAD have much difference ? I like the schema compare functionality in Toad, not sure if Navicat has one. It has a database designer like other editors. Good work.. Thanks a lot.. Keep it up..